Ross Stores, Inc. is the nation’s second largest off-price retailer. 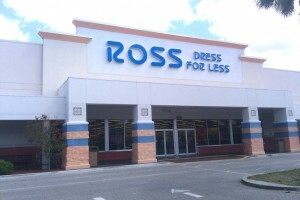 They operate 953 Ross Dress For Less® stores across the country. That large an operation represents an awful lot of inventory, and it only makes sense to protect it from sun damage, or burglary, or; if you live along the Gulf Coast – potential looting after a storm or hurricane. 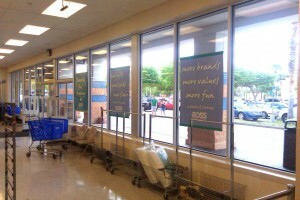 So when the Venice, Florida store wanted to protect their display windows from storm damage and unlawful entry, the company’s facilities management service called upon the leading Armorcoat Safety and Security Window Film dealer in the Bradenton-Sarasota-Venice area: Solar-X of Sarasota. A quick conversation with their facilities management representative led us to discover that they had no idea about enhancing the performance of Armorcoat with “wet glaze” edge attachments – no other potential vendors had even brought the subject up! It didn’t take long for them to find that they were dealing with knowledgeable professionals; and, once armed with proper information, it didn’t take them long to decide who they wanted to have protect their property. Solar-X of Sarasota’s courteous and experienced installers worked with store management to ensure that there was no disruption to shoppers or management, and got the job done quickly and efficiently. 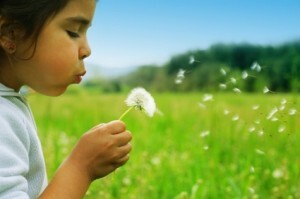 Management was delighted – and very complimentary! If you have a business in Venice, Englewood, or North Port, and you are looking for storm protection, burglary deterrence, or sun control – and you want it done right – call Solar-X of Sarasota today. Our well-trained staff will ascertain what you need , and make the right product recommendations to get your problems solved!